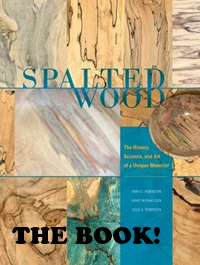 Note: this workshop is held at Marc Adams School of Woodworking in Indiana. Registration links will be provided here when available. Woodturning is an art, but it is also very much a science. The way a tree grows and the unique environment around it affect the wood, and thus affect how it machines. This class will cover ‘normal’ and figured woods, what the cells are actually doing, and how grain direction and imperfections affect tools and turning. This class is a mirror of the introductory woodturning with science class taught at Oregon State University, which introduces students to woodturning by giving a strong foundation in wood anatomy and biology. This class is appropriate for all turning levels. the differences between burl vs. curl vs. tiger stripe, etc.